Mark Graban is the author of the Leanpub book Practicing Lean: Learning How to Learn How to get Better… Better. In this interview, Leanpub co-founder Len Epp talks with Mark about his career, his interests, his book, and at the end they talk a little bit about Mark’s experience as a self-published author. Backmatter, a podcast focused specifically on the publishing industry and its latest trends. In each episode Len interviews a professional from the publishing world about their background and their insider’s perspective on what’s happening in the huge and evolving world of book publishing. Len: Hi, I’m Len Epp from Leanpub, and in this Leanpub podcast, I’ll be interviewing Mark Graban. Mark is VP of Improvement and Innovation services at KaiNexus, a technology consultancy focusing on creating and fostering cultures of improvement in health care and other industries. He’s also an author, consultant, speaker, and blogger with a particular specialty in Lean healthcare. At times in his career, he’s worked for industry giants, including Dell and General Motors. And he has a Master’s in Engineering and an MBA from MIT. Mark is the author of two award winning books from Productivity Press: Lean Hospitals: Improving Quality, Patient Safety, and Employee Engagement, and Healthcare Kaizen: Engaging Front-Line Staff in Sustainable Continuous Improvements, which he co-authored with Joe Swartz. More recently, Mark and Joe also published an additional companion book, The Executive Guide to Healthcare Kaizen: Leadership for a Continuously Learning and Improving Organization. Mark has authored a number of Leanpub books, including editing and contributing to the book, Practicing Lean: Learning How to Learn How to get Better… Better, which is a collection of first person stories by 16 authors from different industries, reflecting on some of their mistakes and experiences practicing lean. In this interview, we’re going to talk about Mark’s professional interests, his books, and for those listening who are themselves authors or aspiring authors, at the end we’ll talk a little bit about his experience publishing and being an author. Len: I always start these podcasts by asking people for their origin story. I was interested how you first got started in your career, and how you got to where you are today. I know it’s a long journey. Mark: Yes, that’s right. You gave some of the background there. I guess my origin story has two acts so far. The first act was I thought I was going to be a plant manager, a manufacturing executive. I thought that was my career path, that first part of my career. I was always focused on lean manufacturing, if you will, “lean production,” “lean manufacturing,” [the] precursor in a lot of ways to “lean startup,” and I think also “lean publishing.” I’ve just always enjoyed helping people improve. And as, you might say, a recovering engineer, you have that drilled into you — that you need to come up with the answer. With lean and continuous improvement, it’s less about you coming up with answers, and more about being a facilitator and a coach. So after ten years of manufacturing, the second act of my career was in a way, I won’t say accidental, but unplanned detour into healthcare, where I’ve now been working for almost 12 years. Same challenges. How do we help people improve? There’s no shortage of improvement opportunities in healthcare. And my career transitioned from being an engineer and consultant, to also being a writer, which started with blogging, and that very directly led to the opportunities to write books. I love writing, and sort of get pushed by my dad into engineering, instead of being a sports writer. That’s going way back in the origin story. I wanted to be a journalist. I’m happy to have the engineering degree in that background, and I guess it goes to show, I was able to find ways to write anyway. And Leanpub, in later years, has been a part of that. Len: I know you’ve got a book on Leanpub called Sports and I’m going to ask you a couple of questions about that a little bit later. Before we go any further though, I’d like to ask you — for the benefit of those listeners who might not have heard of “lean” before — I know it’s a big question, but what’s the brief introduction to the history of lean and what it is? Mark: There’s different places to start. I [will] maybe start in the middle and talk about how lean production, almost 30 years ago, was a term that was coined by some researchers at MIT that were studying the auto industry. They were looking at Japanese automakers, American automakers, European automakers. As Jim Womack, one of the authors and later founders of the Lean Enterprise Institute, [said] — I think this is his line: “The good news was that the Americans were better than the Europeans on productivity and quality. The bad news is that we were nowhere near as good as the Japanese,” meaning Toyota and Honda. And they studied the companies, and zeroed in on what they would call the Toyota production system. There’s this method, that Toyota describes today — it’s a method that has its origins post-World War II. W. Edwards Deming, an American statistician and quality guru, was sent to help rebuild Japan and their industry after the war. So if we backtrack a little bit, [we find] a lot of American roots and other influences on Toyota and what became the Toyota production system. Today in 2017, Toyota people who go and help people — suppliers, non-profits — there are great success stories out there with food banks and eye clinics. Toyota describes lean as not just a set of technical methods of how do we improve — tools if you will — but they also describe it as a management approach. You could describe it as a style of leadership. They also describe it as a philosophy. And Toyota — I think, most importantly — describes it as an integrated system. All of this together — developing people, improving the results of the organization. So Womack and the MIT team had to give it a word. They said if they wanted this approach to spread in the auto industry — and I worked at General Motors, Toyota was a dirty word, we can’t say directly and tell people we’re copying Toyota, even though that was very much the case in 1995. You had to call it something. So phrases like, “Just in time production” and “lean” came into vogue in the 90's. And you know what? It turns out, when you look at it not just through a narrow lens of a better way of building cars, ahen you view it as a management system, a way of engaging everybody in continuous improvement, you realize — yeah, that does apply. So that’s my attempt at lean in a nutshell. Len: Thanks for that, that was very good to ground it in a story from your own life, because it might sound a little bit abstract to people. But this is actually a very complex thing, and deep inside a company’s culture, and so therefore can be quite a shock on a number of dimensions. You have a great blog post that you invoke in your first chapter of your book, Practicing Lean, Where you talk about your experience starting out at General Motors, and — I mean, I’m tempted to tell it — to retell it myself. But just to sort of set the stage. Len: I was wondering if you could talk a little bit about the story with the — I forget what they were called, but they were these rods, I think — that were falling in the grease. Mark: If you think back to some of the roots of the quality movement and the influence on Toyota, Dr. Deming was one of the first to really try to spread the idea that most problems, 90-some percent of problems, if you can even put a number to it, are due to the system. So the general mindset in the auto industry, and you see it creep into other environments, is if something goes wrong, it’s somebody’s fault. It’s the workers fault. Blame the workers for poor quality. And I learned in two years of General Motors that now — I mean, like Dr. Deming said, the problem was the system, decisions made by management, policies. Things that get in the way. And I learned — the problem, in my opinion — the problem at GM was not the union. It was not the union workers, I think even more specifically. People wanted to do good work. They had pride in their work. There was a really awful environment though, where I was — I was laughing when you said that the older workers had to come to work. You’d think the reward would be getting to stay home for 70% of your pay. For a lot of them, that’s a deal they would’ve gladly taken. But you had all these different policies and bad decisions. So with the connecting rod story — connecting rods, for [anyone who’s] not a gear head, connecting rods are inside the engine. If you have an eight-cylinder engine, you have eight connecting rods that are connected to the pistons and the crankshaft. And the stuff is turning, and gasoline mixtures are exploding. This is what’s — part of what’s driving the engine. And for these engines, they were hi-tech Cadillac V8 engines. There was, for everything , a fair amount of precision that was required in these parts for high performance. People would sometimes brag about aerospace tolerances. And so there were days where, if Deming and the lean Toyota approach would say to put quality first, if you put quality first, respect people, let people do good work, solve problems — the production volume quantity problem will also be solved. So safety and quality first, everything else will follow. Well, the old GM mindset was mass production — quantity first. Make the numbers. Don’t shut down the customer. This environment of fear and blame and yelling and cursing. And so in that environment, people start making all sorts of decisions under pressure, that a calmer, more rational person might challenge or question. So there was a day when a shortage of connecting rods, due to machines being down and other problems, was jeopardizing engine assembly production. You can’t assemble an engine without connecting rods. And that was starting to jeopardize Cadillac production. You can’t assemble a Cadillac without the engine. So a minute of downtime is really, really expensive and costly to the company. This puts people under pressure, this kind of cascading yelling and screaming and cursing and blaming. That led to a manager telling workers to go and basically start scrounging for any parts they could find. Basically, connecting rods that had fallen off of the conveyance system. And when they fell off the conveyance system, they usually fell into a trough full of grease and sludge. Real grimy stuff. So any of those parts that fell and hit the floor, hit anything, should’ve been scrapped. Because you know if that introduces a microscopic crack or a ding or something in the part, you don’t want to take the risk and put this into an engine that’s going into a 50 thousand dollar car, or whatever Cadillacs cost back then. But under that pressure to hit the quantity numbers, managers told the workers, “Go looking for those parts.” So they’re pulling them — and I saw this with my own eyes — they’re pulling parts out of the grease and slime and whatever bacteria and crap is down there. Pulling out these parts and wiping them off, and sort of trying to eyeball it. “Well, that part looks okay.” Well, that’s not the point. That’s not a decision you should be making. You shouldn’t be putting workers in that position. And he was a good man, the industrial engineering manager. “Sid, would you want to buy a car that had one of these put inside the engine?”, and made my point. He kind of shrugged and said, “Okay, I’ll go talk to some people.” But it just went to show, problems like that were of managements own creation. It wasn’t a problem with the workers. Len: It’s really interesting — there’s actually a kind of theme on this podcast, along these lines where there’s a system, and then there’s something that one might not even really want to call a system, which is — I’m approximating something you wrote: set high targets, and then apply pressure. Which is very interpersonal, which is why I sort of hesitate to call it a system. Len: It’s an approach, yeah. For example, one that exists to this day and in lots of industry — I mean, in all industries — including banking, and so, with that approach, which people, which managers or executives will adopt, with an explicit self-awareness about what they’re doing — and then you end up with the Wells Fargo scandal, where thousands of employees were caught creating accounts for customers, that the customers didn’t want or know about or ask for, in order for those individual workers to meet the targets that had been set. As someone who comes from a different world from that, it’s just very hard to believe in the banality of what’s going on in so many industries. That there’s a lot of interpersonal vanity and drama that really drives things, which seems to be quite the opposite of what lean represents. Mark: Right. I think Wells Fargo is a situation with a systemic problem. More recently, the United Airlines case — with the doctor being hauled off the flight — I’ll give the CEO credit; he says, “Look, this was a system failure, and that’s on me as the CEO.” And they’re changing policies, they’re trying to change some rules and set people up for success. Don’t put gate agents in that incredibly awkward, awful situation where you’ve got to figure out a way of freeing up four seats for employees to take those seats. And you’re not really given much of an arsenal. You can offer up to $1,000, and then I guess the only thing was — well, you call the police. And that escalated quickly, and to their credit, they are changing the rules so that really should not happen again. And they talk about the need to empower employees. I would question, “Okay, well how are you going to do that?” But that’s a different discussion. A lot of organizations might have fired everybody involved and talked about how, “Oh, this should have never happened. It’s embarrassing. It’ll never happen again.” And that’s just more of a hope and a dream. We see this a lot in healthcare when something bad happens. People get blamed and punished. And the organization says, “Oh well, problem solved. We got the people; we found the people who screwed up, and we got rid of them.” Where I’ll give United credit, they seem to be doing, I think, my prediction would be, a better job of addressing some of the root causes of this situation. But the other one that comes back to measurement, is what seems like an awful lot of pressure for gate agents to hit on-time departures. As a frequent traveler, you see this a lot, where there’s stress, there’s anxiety. That leads to poor customer service. I’ve seen situations where somebody trying to make a connecting flight walks up to the gate and the door with five or ten minutes before departure. The door has been closed, and the plane has been pushed back all of like six inches. Well, they’ve hit their on-time departure metric. And the customer is saying, “Well hey, I really need to get to whatever place. Could you please move the jet bridge and open the door and let me on?” And they’re like, “No, we can’t do that.” So I mean, I think there’s still other examples of policies and metrics that get in the way of employees doing the right things for customers. When they talk about empowering employees — and I think this would be true with lean in any setting — part of the system involves drawing boundaries around your empowerment, that there are certain judgements and discretion and decisions that are made, where we don’t want a situation — and this is especially true in healthcare; doctors, nurses, others are rightfully concerned about, well, don’t try to turn us into robots. Well no, of course not. Standardized work as a component to lean says, we’ll standardize the things that matter, and we’ll standardize them to the degree that matters. But that doesn’t mean we treat every customer exactly the same. We don’t treat every patient exactly the same. There are certain things that should be done very consistently. And within those boundaries, there’s room for judgement. And I think that’s part of what makes lean actually more of a humanistic system, when it sounds like something that would be very robotic and mechanistic. Len: I’ve actually got a question about that from something you mention in your book. But first, I just wanted to say you reminded me of this story we have in Canada, of this company called WestJet — on the topic of airlines — and they sort of famously empowered their front line employees to, as I recall, buy pizza for customers if there was a flight delay. Just giving them the freedom to make that kind of decision, and provide that kind of pleasurable experience, was such a delight and a surprise, both to the employees, and to the customers. Because you expect the experience at an airport — both as an employee and as a flyer — to be highly ritualized and constrained and antiseptic. You would expect an employee to go, “Well, I’ve got to call legal if I’m going to buy a pizza, because what if someone’s allergic?” It just goes to show how something seems very simple, actually does have lots of context around it. But at the same time — and this was my question related to something you write about in your book — empowerment can go too far. You invoke this concept of a 5S cop. 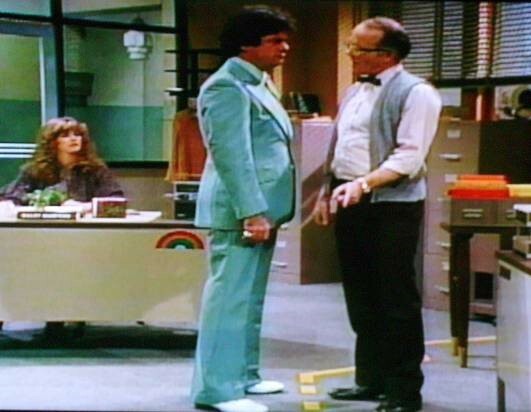 So I had to look up what 5S was, and it appears to be Les Nessman, with tape around his desk, but very sophisticated design for factory floors. But you can also end up with this concept of someone who’s too empowered in the wrong way, and that’s the 5S cop, who goes around berating people for having bananas on their desks. Mark: Or sweaters on the back of their chairs. Len: If you go into an organization and you find these 5S cops, what can you do as a consultant to reign them in? Mark: It’s funny — there’s kind of a dual nature there. The 5S cop feels empowered to do all of these things that dis-empower other employees. I was going to say one other thing about empowerment, whether it’s WestJt or other settings — it’s great to say people are empowered. What really matters is the detail. So United put out a statement that says, “Our employees are going to be more empowered.” The worst thing you can do is say you’re empowered, and then criticize every decision those empowered people make, retroactively. You’re empowered, but if you guess wrong and do the wrong thing, we’re going to come down on you. That will not lead to empowerment. That fear will lead people to not take risks, and they’ll fall back on policy, procedure.. But back to your point. 5S is often called the lean tool. It’s a methodology. There’s some philosophy to it that says, I think on some level, make it easy for people to do their work. And that means the hypothesis would be a more organized workplace makes it easier for people to have high productivity and quality and safety. It gets, I think, sometimes misinterpreted as, “Go out and put tape around everything.” Well wait a minute, you’re copying the method, without understanding the philosophy or the purpose or going back to the question of, what problem are you trying to solve? The Wall Street Journal had these articles that I blogged about. Companies where they had the 5S cop. And companies that make polices like, “No sweater on the back of the chair.” What problem is that solving? The sweater, for one, is solving the problem that the temperature is often really cold in these buildings, and the employee, by wearing a sweater, can be comfortable. And probably happier, more productive, doing better work. The 5S cop mindset would look and say, “That looks bad, it’s not consistent.” I’m like, “Well who cares? Is your company going to be more profitable because people don’t have sweaters on their chairs? And you’ve put a tape outline around the printer, saying, ‘This is a printer.’” The printer doesn’t go anywhere. People know it’s a printer. What problem are you trying to solve? The other thing I’ll rant about is a policy of “No personal items on your desk.” What kind of sadist comes up with a rule like this? It’s not grounded in lean principles, it’s not solving a problem. I’ve got a journal article that I always hang onto that says, you know what? They’ve done studies. When people have family photos on their desks, they are happier and they were more productive, and they do better work. So if anything, 5S and standardization should say — I mean this as a joke — you should force people to have a family photo on their desk, if you were going to standardize in any direction. But in the practice of lean, we all make mistakes, and that’s what this book is about. Myself included. Sharing some of these stories, where you might say a little bit of knowledge can be a dangerous thing. I’ve learnt a method, I’ve learned a tool. I’m going to go apply that tool. People may make mistakes that are born out of over-enthusiasm. And I think part of the key thing is, if we make a mistake, do we listen for feedback? Repeating the same mistakes over and over again is not lean. Lean should be based on what’s sometimes called the Deming cycle of plan, do, study, adjust. And a lot of times, we get stuck in the cycle of plan, do, plan, do, and we don’t get feedback. And so I think, for one, if you involve people, somebody would speak up if you have a good environment to say, “Wait a minute, that sounds like that’s not helpful to have a sweater rule.” And maybe you never implement a sweater rule. Or if you do implement the sweater rule, hopefully you get feedback back from people who say, “I don’t think that rule’s helpful.” And you would adjust. I try to be more patient to people who are first time out, making mistakes. As long as they learn and adjust, that’s okay. As a coach or a consultant, sometimes you’d like to help people avoid really bad mistakes. But sometimes people need to learn through their own small mistakes. I think that’s part of the conundrum, where I do get a lot less tolerant of somebody who runs around saying things repeatedly that are factually incorrect about lean, and they’re never open to learning or adjusting their approach. People who say, “Lean is just about speed and efficiency.” No, that’s not true at all. Look at Toyota. It’s about flow and quality going hand in hand. And hopefully that’s the same thing, whether it’s in healthcare or publishing or any sector. Len: On that subject, we’ve been talking about lean in the concept of manufacturing. But as you mentioned in your description of your own origin story, you made the move from manufacturing to healthcare. I’ve got some questions about that — the application in healthcare and it’s importance. But before we move on, I’d like to ask you to talk a little bit about that transition, bbecause that’s a big change from one area to another. What led you to that accidental shift? Mark: It was partly right place, right time. I think it was partly putting myself in a position to take advantage of opportunity. I was working in manufacturing 2004, my wife and I were in Phoenix. I wasn’t running away from manufacturing. But in 2004, we had a networking group in Phoenix of lean geeks, if you will, from different companies — Medtronic, Intel, some other companies. No one was competing with each other. We’d get together once a quarter, and go visit someone’s facility. We’d talk shop, we’d provide a fresh perspective. We’d learn from each other. One of those quarterly sessions was held at a hospital in Scottsdale, to go through the emergency department. I believe two women had left Motorola, and I forget if they were employees or consultants, but they were using lean and Six Sigma in the emergency department, and getting great results. That was the first exposure I had to any of this. I found it really intriguing. I tried reading about lean in healthcare, just from my own learning and curiosity. There wasn’t a whole lot being written then. And then my wife had a new job opportunity in Texas in 2005, which meant I had to find a new job. I was [in the] right place [at the] right time. I got a call from a recruiter from Johnson & Johnson, where they were looking to hire some people into a consulting group they had, that did work with hospitals around lean and Six Sigma. So there was, sort of, the necessity of making a change. If I hadn’t made that visit to the hospital in Scottsdale, if I hadn’t been networking and doing some things that were above and beyond, I wouldn’t have gotten exposed to that. And the J&J person might have called and said, “Well no, I’m a manufacturing guy,” I might not have been open to that opportunity. And in the spirit of plan, do, study, adjust, I thought, “Well, if I get this job in healthcare, what’s the worst that could happen? I might not like working in healthcare, but I bet I’ll learn something.” It seemed pretty risk-free. And it turns out I loved working in healthcare for many, many reasons. And 12 years later, I still have some sort of role to play, in trying to help people improve our healthcare system. I’ve seen similar work — different dynamics in Canada — but Lean healthcare is being used on virtually every continent, in every type of healthcare system. Because when you really start looking at the details of how doctors and nurses and pharmacists and medical technologists and housekeepers do their work, lean applies, right? There’s different questions and problems different countries have to solve at the real high level, big picture situation, but lean is thankfully proving to be helpful all around the world in healthcare. Len: Speaking of statistics and what’s at stake, you mentioned in a recent blog post that by some estimates, 30% of US healthcare spending is waste. And I wanted to mention specifically that 100% of your book’s proceeds are going to something called the Louise H. Batz Patient Safety Foundation. On their website, they mention that 200,000 people die and another 2,000,000 fall victim to preventable medical errors during their stay in the hospital every year. I think it said something like the third-leading cause of death in the United States, is preventable errors. Mark: By some estimates. And those numbers are staggering. Those numbers are almost unbelievable, if the estimates are in the ballpark of 400,000 deaths a year, not to mention all the people who are harmed and don’t die. So you have cancer and heart disease — and preventable medical error. Which of those three do you really never hear anything about in the context of the media, public health, government discussion about what we’re doing to fix our healthcare? I won’t name drop or name names, but I had a chance to meet a member of tge US Congress, who was talking a little bit about whatever’s going to happen with whatever attempts to try to hopefully improve our healthcare system. I asked him, because he was talking about the need for price transparency — in the United States, people don’t know what something is going to cost. People in Canada or other countries are thinking why — that’s not a concern. But it’s hard to find out what something costs. And if we make price information available, people can choose hospitals that have lower cost. And that’s good for them. And prevent further increase in healthcare costs. The thing that’s interesting in healthcare is that, if all you have is price data, generally speaking the lower price, lower cost organizations — well guess what? They’ll actually deliver better quality. Because when you have data on both, they tend to correlate. So there’s this misperception that better quality must cost more. Well no, Toyota proved that’s not necessarily true. And people have proven that in healthcare. And so I asked him, “In Washington DC, is there any discussion in Congress about improving patient safety?” And he said, “Well, no.” The formal name of the law commonly called Obamacare, the formal name of that [is] “The Affordable Care Act.” The full name of the law is, “The Patient Protection and Affordable Care Act.” And it’s sad that for the most part, that patient protection piece, it’s just not being talked about, and that’s mind boggling to me. Len: It’s a fascinating topic. Especially for those of us who live in places where there’s public provision of healthcare. It’s a bit of a spectacle to watch all of the human effort that goes into managing the private — let me retract that — the complicated system of care in the United States. I was in Miami once, with a friend who’s a surgeon, and there was this young surgeon who was coming near the end of his training. And he talked about how — there’s this one hospital he might get to work at. His girlfriend’s father owned it. Len: It never occurred to me that an individual person could own a hospital. Mark: It’s like a person owning a tank or a fighter jet, right? Len: Yeah. And it’s interesting too how — for example, you mentioned about pricing. How, if I’m paying for my own healthcare insurance, and I’ve bought the more expensive package than my neighbor has, and then I get offered a treatment for the same condition that is then transparently revealed to me to be cheaper than one that my neighbor got, I’m going to feel cheated, right? Because I paid more, so shouldn’t I be getting… ? It sort of seems commonsensical for someone who’s approaching it from a “return on my investment” and a kind of one-upmanship perspective. And then you want the more expensive thing. And it’s just fascinating to me, the complexities involved in that system. Mark: Yeah. Even if you look in different countries, argument, discussion around different medications, different knee replacement implants, different stents for your heart- again, I’m an engineer, relying on what I’ve heard from doctors — that the more expensive items are not always better. And so there is, I think, a reasonable discussion. They have to make decisions around what treatments are approved or not approved. And you’re right, people might say, “Hey, I want the more expensive one.” In some cases, it’s not just being cheap to offer them something that’s a lower-cost, better alternative. But how do we provide people with the information that helps them understand? We’re talking healthcare about value. Higher quality, lower cost. A lot of times, insurance companies, governments, people say, “You’re just pushing the cheaper one on me,” because they think cheaper means worse. That’s an interesting lesson from lean. Don’t assume cheaper means worse. Look at the data. That’s your best guide. Len: There’s also this big problem of unnecessary treatment, whether it’s surgery or medication, which it seems is in part driven by the perverse desire to get value from the insurance that you’ve paid for. So for example, if you’re paying 10 bucks a month for Netflix, and you realized you haven’t watched anything in a year, you might feel like you cheated yourself. So you’re going to go in and watch some damn Netflix. I think people do see it that way. They’re like, “Well, I paid this much. I want to go get some value from what I paid for, so give me some pills.” And, “Oh really, it covers this surgery. Why don’t I get that surgery?” — even if you totally don’t need it, and perhaps have no understanding of the fact that just going to the hospital and having something done to you, is inherently very risky. I was wondering if you could — maybe get a little bit more specific — if you could give me an example of a project that you’ve worked on, where you applied lean methodology in healthcare? Mark: One of my favorite projects, I think, just because of the results and the meaning involved, was at a children’s hospital in Texas. I’ll preface this by saying, these success stories are never because of what I did. I played a role, I teach people, I try to challenge people, open their eyes to seeing their current process, understanding what perhaps is possible. It’s the people from the hospitals who improved operations — not surgical operations, but improving how things work, improving processes, improving systems. So at this children’s hospital, the problem statement — because the group at J&J was really good about not saying, “We’re going to come in and implement lean” — no, what matters is, let’s solve a problem that matters, and not just do lots of training and certification and implementing tools. Then what do you have at the end? No, we’re really focused around there being a compelling need for change. So at this children’s hospital, for outpatient MRI procedures, a doctor’s office would call with a referral, and try to book an appointment to come in for an MRI. And because little kids, if you’re going to get an MRI for an hour and a half, sedation is often part of the equation, the waiting times for an appointment were in the ball park of about 12 to 14 weeks. There was a hospital about 30 minutes away, another children’s hospital, with its own MRIs, where the waiting time was about six weeks. So a lot of times, the doctor’s office would hang up the phone and call the other hospital. And there was a risk that they would stop calling that hospital ever again. So one thing I think was really brilliant, for some of the leadership there, clearly they’re — in the American system, there was a financial loss and opportunity to patients going someplace else, because hospitals here are paid, generally, by the procedure. That’s a different question, a different topic to debate — that’s part of our health reform system — to stop just paying for the activity. It’s not as predictable as a car assembly line. But certain types of procedures take them a certain amount of time. So the team spent, I’ll say, at least a month deeply studying and understanding their system. Instead of everybody who was in their individual silos, we had a cross-functional team that was dedicated to this full time, to really look and see the disconnects between silos,the OMG moments, where people say, “OMG, is that really how we do it?” Or you see disconnects of miscommunication, and people not understanding the system. And there’s some OMFG moments that kick in. There’s no shame, no blaming. There’s learning and understanding. And people say, “Well, what could we do to change that system? Let’s change the scheduling template. Let’s change the sequence of when the anaesthesiologist and everybody arrive first thing in the morning, so that cases can start on time, and we can stay on schedule. So, lots and lots of little details. There wasn’t a single root cause. There wasn’t one thing to implement. It was lots of examples of redesigning parts of the process, taking a look at the system from a high level, changing the way we do things, testing change, increasing throughput — basically doing more MRIs per day, without jeopardizing quality. Doing more MRI’s per day means they could get that backlog down. It took a while, but they got the waiting times down to about two to three weeks, which everybody was deeply proud of. That means better patient care. And after the fact, somebody that I know was writing a case study for their book about this situation. Ballpark figures, this was worth millions and millions of dollars a year to the hospital. So it was win, win, win, win. I don’t know how many wins. It was good for the patients. The staff felt good about what they were doing. It was good for the organization. It was providing the right care. Hopefully not just increasing the number of MRIs that the government or the insurance companies paid for — that was sort of out of scope. Some other people in different projects look at reducing unnecessary MRIs. Virginia Mason in Seattle did a lot of work around patients coming into the emergency department with back pain. The old system, it’s really easy: “Yeah, get him a CT scan. Let’s see if there’s anything there.” Which is expensive and exposes people to radiation. And they started challenging and saying, “How about we just give people physical therapy?” And that’s more effective, and less expensive. I think sometimes the project boundaries that we work with maybe don’t reflect the full scope that we should be looking at. But back to the example of the children’s hospital — engaging the people who do the work, the people who care deeply about the work, they’re the ones best positioned to help improve the work and get better results. Len: One of the really interesting things about this topic generally is that we’ve been talking largely about the people-based processes. But one of the big discussions going on nowadays — perhaps more in manufacturing, but also in healthcare — is automation. The impact of technology on things. For example, how does healthcare change when someone can have something strapped to their wrist that monitors what they’re doing? And then maybe that’s connected via wi-fi to the internet, which then can be connected to some algorithm, that can then dispense medical advice to them. I was wondering — I mean, just high level — what do you see the impact being on the management of healthcare automation and technology? I know it’s a big topic. Feel free to enter it from whatever direction…. Mark: I think I would carve out automation and technology as two different things. A lot of times, automation in healthcare has been sort of a fool’s errand, sort of like it has been in manufacturing, where people will automate a bad process. I can’t tell you how many times I’ve seen this. A hospital laboratory, with a really poor layout that wasn’t really designed properly. They’ll say, “Well, we have trouble keeping up with that.” So some company sells them on a lab automation system that replaces a person carrying a tube of blood from here, hundreds of feet to the back corner of the lab. They replace that with a conveyor belt. No. What you need to do is eliminate the need for the walking or the conveyor belt. Change the layout. Put the high-volume instrument right here, next to where the tubes arrive. You improve flow, you reduce turnaround time. Far less expensive than automation or robots. But I think the idea of technology is interesting though, especially in the realm of value. I think, to me as a patient, value doesn’t mean a faster, better response to something gone wrong. To me, value means quality of life and keeping me healthy. Part of the health reform discussion in the United States is about how do we change incentives within the system, to help keep people healthy, instead of treating them more efficiently and without harm. Once they go to hospital, how do we prevent them going to the hospital? Thank you for mentioning the Louise H. Batz Patient Safety Foundation. They have guidebooks and an iPad app, to help people have a safer, error-free hospital stay. It would be great if the need for that book was eliminated, and we could keep people healthy. Like you said, it could be technology, sensors. I have a Fitbit on. There’s all kinds of smart home applications for aging populations that are interesting. I talked to somebody today who’s doing some innovative work around trying to help keep people who are chronically ill out of the hospital, by giving them more home-based treatment, which involves a different design of services, some technology. I think there’s great opportunities there. Because to me, the parallel to lean manufacturing and my days in the factories — there’s something in lean called TPM, Total Productive Maintenance, which says, “We don’t want to just get better at fixing machines when they break down. We want to keep the machine healthy and running.” So like preventative maintenance for machines — parallels to humans and people. It’s complicated, because people who live in a free society are free to make all sorts of bad choices that effect the ability to keep our human machine running. So that gets complicated. But I think there are parallels in lean of asking questions around, “What can we do to prevent hospital admissions, instead of having a better hospital admission?” I think technology is certainly going to be a part of that. I visited a health system recently, that’s rolling out telemedicine, where you can Facetime a doctor with the app. The employees of this health system get that for free. It’s just part of their health plan. And if that helps prevent trips to urgent care or the emergency department — again, if that prevents unnecessary trips; we’re not trying to prevent necessary care. But I think there’s this great technology frontier that’s going to help disrupt healthcare in a lot of really important ways. And I think the key there will be: lower cost, better quality. That’s what lean’s trying to provide. And this new frontier, I think is aligned with that. Len: I could talk with you about this for a long time. It’s such an interesting topic. But in the interest of moving on, from the very serious subject of manufacturing and healthcare, to something maybe a little bit more deliberately fun. You mentioned at the beginning you’ve written about lean in sports. Len: And when I was checking out your book, I — being a Canadian, I zeroed in on the chapter about the NHL. And one thing you mentioned in the book, and you mentioned in this interview, is the importance of talking to workers. So I think a lot of times — one of my favorite blogs is a website called Uni Watch, talking about sports uniforms and the way uniforms look and the technology. It’s just kind of a pet interest of a lot of people. Sometimes these companies talk about uniform systems. I’m like, “Well, a system would be a good thing.” I wrote here that this was sub-optimizing the jersey at the expense of overall performance. An NBA example comes to mind, where the NBA did just that. They introduced a newly designed basketball, back in 2006. And the players complained that the ball was too slippery, it cut their fingers, it didn’t bounce correctly. And David Stern, who was the Commissioner at the time said, “Well, even though we did a lot of testing with this new ball before we put it out there, we’re going to listen to the players and we’re going to go back to the old ball.” I’ll give them credit for that. Because I mean, we want to try to prevent problems, I think. But if you look at the lean start-up methodology — sometimes you don’t know until you actually go to market. So I think there’s this idea of doing a small test of a change. Did they test the new design during a pre-season game? That might have been a smart way of avoiding a problem where I presume they launched new uniforms for all — what is it, 30 teams, all at the same time. Well then that becomes a really big, expensive, embarrassing public problem, where if they had suddenly, quietly done some testing, they wouldn’t have maybe felt the need to be stubborn, and maybe not go back to the old way. The reason I write about sports — and I’ll give credit to Leanpub helping me turn blog posts into a book — is that I think it’s fun, and it’s a good way of reinforcing and thinking about lessons around lean and change. Like, “Oh, is there anything I’ve done in the workplace that’s similar to this bad roll-out of new hockey sweaters or hockey uniforms?” That’s my goal with some of that writing. Len: Moving onto the last part of the podcast, I was wondering, I guess you came to us because we offer the ability to turn blog posts into books. But for Practising Lean, you also did this lean publishing approachm where you published before all of the chapters were in, and the book is composed of chapters by 16 different individuals. Did you get any feedback along the way from readers about the content? That people would then incorporate into changing their chapter? Mark: That’s a really interesting question. I don’t think that I did. As I’ve seen the evolution of Leanpub over the years, the technology and the platform — in the early days, the easiest thing was to import a blog via RSS, and publish that as a book. So that was not done as lean publishing. It was with continuous flow of adding new chapters. That was kind of big batch, self-publishing through the Leanpub platform. You’re right, Practicing Lean was an attempt at experimenting with this lean publishing approach, where if I remember right, I went to market with two chapters that I wrote, to try to frame the rest of the book, that I hoped was going to get written. And so in typical Leanpub style, I made the book available. I set a really low price of like $1.99 as a suggested price. And I sold a bunch of copies, and I gave copies away to people that I was trying to recruit as authors. And the feedback I got wasn’t about content of the book. The feedback was, “Hey, I really like those first two chapters. I’ve got stories to share. You’ve inspired me. I’d like to write a chapter.” So that feedback was different. Len: Oh that’s really interesting. I’ve never heard a story like that before, that’s great. Mark: So I used the Leanpub platform, and publishing — minimum viable book, as a way of recruiting collaborators. Now there were some people I knew, who I reached out to and recruited. But part of it was an experiment of within my blog community or LinkedIn or Twitter — who would find this, and who would be inspired to contribute something? So that was part of the incremental approach. And the project hung out there for about a year and a half, before — I think I’ve sort of said — now the book page says it’s 100% complete. But I could always still go add a chapter, why not? That’s one thing I really like about the Leanpub platform, and the control that you have as an author. Len: Another thing we have that you’re taking advantage of, is you can add digital content. So in addition to adding chapters, you can actually add new material. And you, I believe, are the first person to be in-progress publishing an audio book version of your book. Len: I was wondering if you could talk a little bit about that? People who are into self-publishing know that audio books are a big deal. I was wondering if you could talk a little bit about that process? I mean do you just sit down in front of your fancy microphone and read them out yourself? Mark: Well better yet — so the idea to even do an audio book came about from the book’s community. Going back to books that I’ve had traditionally published. Like the book Lean Hospitals. I’ve had a lot of people ask about an audio book version of that, namely doctors. And my publisher doesn’t do audio books. These are somewhat niche technical publications. The publisher had always said, “Yeah, sure. Knock yourself out, Mark, if you want to do an audio book and invest in the creation of an audio book,” which either means time or money — to pay someone to professionally produce an audio book, or at least for it to be professional enough. I didn’t really think that business case was going to really play out in a positive way. So I never moved forward on that. And I’m thinking about lean start-up, how do you test a concept? What’s a minimum viable audio book? I started thinking like, “Well, I could do a chapter, and see if anyone buys it, or….” That was percolating in my head, but I never moved forward on it. One of the authors of a chapter in Practicing Lean reached out and said, “Hey, my daughter’s in college, she’s dabbling in professional voiceover work, she’s trying to build her portfolio. She knows her dad wrote a chapter, and she would like to read this as an audio book, if you’re interested in that.” I said, “Yeah, of course.” Now, she’s a busy student, so I’m like, “Well sure, do a chapter, do your dad’s chapter. We’ll do a proof of concept. Let’s see how it is.” So she did a great job. It wasn’t quite ready to go to market yet, I was busy, it wasn’t a priority. But she’s eventually knocked through about half the book. [Note: The audio book is now 100% complete — eds.] I read the chapters I wrote — for better or for worse, it’s in my voice. And we have one other author who chose to read his. So it’s a mix of voices. But Samantha’s going to eventually read the rest of the book and — [it was] a busy time of the school year, there was enough content sitting there, and I had some time to say, “Let me try to do a little audio production — as an amateur.” I mean, I’ve produced almost 500 podcasts, and I don’t know if they’re all professional sound quality, but it was good enough to get the message across. I produced half of the book. And I looked, and I said, “I know there’s this digital extras feature on Leanpub. I can create a package, I can upload the files. I can set a different suggested price. And because of that connection to the readers, I can say, “Well hey, you’re going to buy the audio book, and you’ll get new chapters as they’re available. I’ll contact the authors the same way, same mechanism — as if there was a book update.” And this was honesty the fastest, easiest way to get something to market. But I think right now, I think today somebody bought the audio book, I think I’ve sold four copies in a very soft launch. To me, that’s what Leanpub’s all about. It just encompasses all these ways of testing a market. We’re going to complete the book either way. But we’ll see what happens from here. Those are some of the reasons and thought processes for why and how I did this on Leanpub. And then from the self-published author’s perspective, that ability to communicate to your existing audience about new content that you’ve created, even if you’re giving it to them for free, cam play an important strategic role in reactivating their interest in you. And then if you’ve got something new to offer as well, like say a new book, you can use that opportunity of adding free content over here, to draw people’s attention to new content they can pay for over there. I know you didn’t do that in this case, but that is something that one can do. And it’s really clever the way you revert that content to your existing users, communicating with them. Mark: Thanks. I think that’s one of the benefits of self-publishing, as opposed to traditional publishing. I’ve recommended Leanpub to a lot of people I know, who were considering writing a book. Part of that benefit is that ability to reach your customers, even if it’s sort of blinded through the Leanpub system. For a lot of authors, writing a book is not a big money maker. Now writing a book is a passion…. A side track on author advice. People say, “I want to write a book.” Tell people, “Okay, good.” People who say, “I want to write a book,” they are people who start books. I think the people who finish books are people who say, “I need to write a book.” Like, “I will hate myself and my life will be unfulfilled if I do not write this.” There’s a different level of commitment and passion there. But anyway, beyond that, if someone’s writing a book that’s more of a, “Hey, I think this will be good for business.” And it can be both. The big opportunity often is not from the book, but from speaking engagements, consulting, training workshops. Now I would hope nobody — and I wouldn’t recommend anyone use the Leanpub platform to spam the readers, because that’s bad for your relationship. People will unsubscribe, and you lose that permission-based communication. But I think used sparingly, that ability to communicate with your readers. To maybe invite them to a community of readers — I think done judiciously and professionally, can be a huge advantage to an author. And when you publish traditionally, you don’t get any of that customer information. The best you can do is have a website where you get people to sign up for a newsletter or something, that allows you to have that interaction. But I think done right, that’s an advantage that’s built into Leanpub. But the thing about it that’s so great is that not only does it get them thinking about you again, but when they get an email, when they come to understand what these emails mean, it means “Something I previously paid for now has new value added to it.” So whether they end up reading it, or listening to it in your case, or not — it’s a positive interaction. Mark: That’s a good point. Len: An email newsletter can be a positive interaction as well. But when it’s like — no, something you previously paid for now has something more in it, that’s just a positive thing, and people on the receiving end understand why you told them about it. It’s because they paid for it, and that’s important. Mark: Yeah. I was going to say — a tip for any Leanpub listeners who are listening: I think the variable pricing model is great, should you make your book available for free, and have the option where choosing to pay is essentially a donation. Because there’s one feature in Leanpub, and this was user error. This was my bad, my fault. There’s the ability to offer coupons. And I thought, well let me try to spark interest in the book, and readership — especially because this is benefiting charity. Let me give some copies away, and hopefully there’ll be some word-of-mouth benefit. So I posted a coupon out on LinkedIn for — I think I set a limit of 10 free copies — I did the same thing through Twitter — or the other way around. On one of those platforms, I fat-fingered it, and I put in limit in limit of 100. And guess what? I gave away 100 free copies. Len: This is a huge topic of conversation in the self-publishing world. When should you do free? For what should you do free? For example, a common strategy that people who are writing a series of novels — like a trilogy, or even more — might do, is make the first one free. And then release the second one, and people who’ve read the first one will want to buy the second one. Whereas if you hadn’t given away the first one for free, they may not have gotten into your series or your writing in the first place. Another common strategy is, even if it’s not a series, you make one thing free. But you make it free when you’ve got something new that people can pay for. So it draws attention towards your platform. And you can have various offerings on that platform. Also, I guess I just should mention that we have books that have made a lot of money, that have a free minimum price. Len: Our bestselling book has a free minimum price. And bestselling by revenue, I mean. It’s both bestselling by copies and by revenue, and it has a free minimum price. People really do pay. It’s something that for us, we’re just — in-house we just know this so straightforwardly, we need to sometimes de-familiarize ourselves, and understand that to most people, the idea that there’s value to the author in giving something away for free, and that people will pay for free things- those are quite unfamiliar concepts, surprising concepts to people. Mark: I think there’s one dynamic where I’m — here, I’m just going to pull up a book through Leanpub. So like, on Amazon, my impression — and I’ve published — I’ve taken Leanpub books and published them through Kindle Direct Publishing. And I love that Leanpub doesn’t lock in your content. You can sell it on different platforms, and I appreciate that. Royalties are better through Leanpub. There’s lots of reasons I would hope. Mark: People choose to buy it through Leanpub, but it also helps to meet different customers where they are. My impression — if I’m searching for a book, and I see something is available for 99 cents on Kindle, my first thought is — well I bet that’s garbage. I’ve looked at a lot of books that are really cheap — at least, technical books in my field, and they are garbage. I know there’s a different story about like Fifty Shades of Grey, and people who have launched incredibly successful books — it doesn’t mean they’re good, I guess — but successful books. So maybe fiction readers haven’t drawn that same conclusion. But my concern with offering something for free or cheap, is that people say, “Oh well, I bet that’s bad.” The thing I love about Leanpub is the suggested price maybe suggests and implies quality — but somebody would consciously have to drag that slider down to zero, and think about “author earns zero.” Is that really fair to the author? I mean it’s a different dynamic there, where, it’s really interesting to think…. Len: That’s a fascinating dynamic, which I could talk about for a long time. But the idea of giving — it’s sort of related to what we were talking about earlier — about empowering employees, is that when you give people choice, sometimes their choices surprise you. And it’s because you’ve given them choice that — it’s not the specific choice you’ve given them, it’s that you’ve given them choice in the first place — that changes what’s going on. I could talk about this for a long time, but I guess we should probably wrap up pretty soon, and I just wanted to ask you the…. Mark: I was going to say — one thing I just want to jump in and say. The Leanpub platform — I’m multi-tasking, forgive me. But I had the book, Lean Blog: Sports pulled up, which is a collection of content over the years from my blog. Now part of me is thinking, that content is already available for free online, because of my blog. But somebody would have to do a lot of work to gather — there’s a benefit to be able to read offline and have an ebook and all these great examples. So I’m going to run an experiment now, and if anyone’s listening and interested in lean and sports — I’ve set the minimum price to free. So if somebody would like to come and get it for free, okay great. I’ll be happy that somebody wants to read it. The suggested price is $9.99. I’ll see what happens. Len: That’s great. Thanks for doing that. We’re making news. This won’t — just so you know this won’t be coming out right away. But I know that your book’s been up for a while, and I’m sure this will probably remain true, as long as you’re doing the experiment. Mark: One thing I’ve learned is that an ebook collection of blog posts — at least with all the factors of how much I’ve promoted them, which is not a ton — none of these have sold a bunch of copies. For me, it was an experiment in using the Leanpub platform, seeing how it evolved, playing with self-publishing. And that gave me the confidence to then go do a project like publishing lean on this platform. I think I’m practicing what I preach. I was trying to learn by doing, run some experiments. Plan, do, study, adjust. And I wasn’t expecting any of this to be a huge money maker, but I’d learn something. So I wouldn’t call that a failure. Len: My last question is — if there’s anything that we haven’t built yet that you have thought, “That would be useful for me to have,” what would that be? If there is anything. Mark: It’s a good question. I did have somebody ask today about the ability to get only the audio book. I don’t know if there is a market to have something not be an extra, but just be a digital file? I’m thinking of different things consultants and people sell. Audio books, it could be training PowerPoint slides. It could be video training modules that are added over time. Now I’m not trying to — I’m just wildly throwing out ideas. Len: You could currently kind of hack Leanpub to do that, by putting up like a one-page book. And then also selling along with it, any arbitrary digital content that you want to. Obviously, that’s not sort of the business that we’re in. Mark: That’s a fringe use case there. Len: That’s a fringe use case, but at the same time there’s nothing — I’m not necessarily recommending this, but it is something that one could do. And if anyone does it — as long as you’re very clear about what’s going on, then you won’t end up with angry — And we won’t end up with angry customers. Mark: One other — I’m sorry. One of the suggestions, it’s just from the thought from earlier. It would be great to have a little bit more two-way data from the readers. I’m just thinking out loud. If there’s a way of serving readers, and getting feedback. Because they can see this book is 100% complete. In a perfect world, I would love to see how much of the book did people actually read — that would be interesting data . Len: One of the big lacunae in Leanpub is interaction between authors and readers and readers and readers. We’ve got a Disqus forum for each book, that is activated by default, that people do use. And we’ve got an “email the author” feature, so that readers can email authors right from the book landing page. Len: But they’re not highly emphasized. And as I mentioned before, we do have this way of emailing readers when you publish a new version of your book. But there is just a lot — we know there’s a lot more we can do around that part of things — including, for example, having a changelog that authors can direct readers to, so they know, what’s the difference between this previous one and the last one, and what’s the progress. And so a perspective meter might be — How much content has this person really been adding? It says the book is 70% done, but it’s been up for a year. There’s a lot more that we can do around that, and it is something that we plan on working on over time. So yeah, that’s a really interesting question. When it comes to the subject of monitoring how much people are reading — I can’t speak for everyone, and I can’t speak for forever,bBut currently, my understanding of our position is that that is not something we would do. Mark: Sure. But is there a way of asking, inviting — like through a small survey, people to volunteer that information? Which is probably, I’m guessing, the only technically feasible way anyway. Len: That’s a very good suggestion, and it’s one I’ll pass on to the team, because getting that kind of voluntary information is certainly something that we would not have an issue with — again, as long as you’re not spamming and stuff like that. Mark: Right. And I’m glad you’ve mentioned — I honestly either didn’t know or didn’t remember that there was a Disqus forum available for the book. Len: Yeah, if you scroll down on the landing page, you’ll find a little link that says, “Discuss this book.” Authors can turn it off. That’s pretty rare, but they can turn it off. But it’s there by default when you publish a book. And people do use it. Len: Well thanks very much, Mark. I really enjoyed our wide-ranging conversation, it was really fun. And thanks for being a Leanpub author. Mark: Well thank you, thank you for the platform, I enjoyed the conversation. Really appreciate it.